The Austin Air HealthMate is the original air cleaner unit of this famous U.S brand. 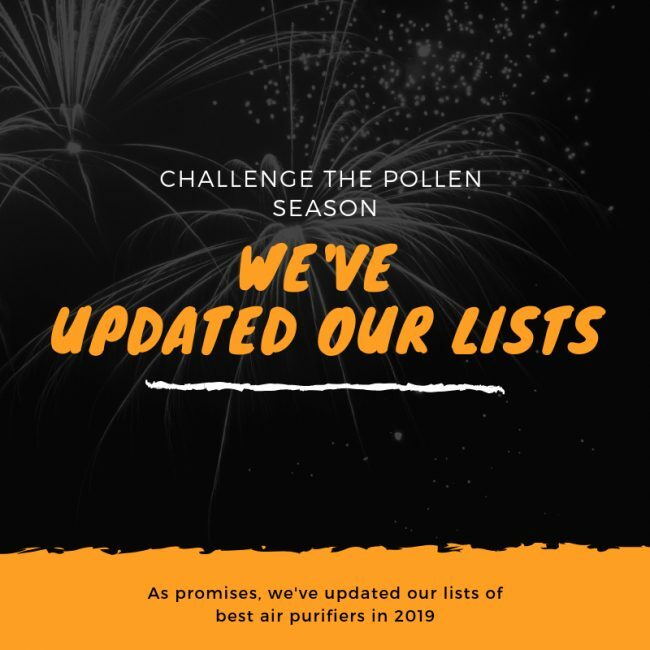 It also earned the title of “America’s Favorite Air Cleaner” year after year thanks to the powerful filtration against all types of air quality contaminants. Thankfully, we finally have a chance to write an Austin Air HealthMate Review for our readers. The Austin Air is the top 1 air purifier brand in the United States for 3 decades, starting from 1990. The Austin Air HealthMate is the very first air purifier that Richard Taylor – the great CEO of Austin Air design and develop since the beginning. To this day, it is still one of the most effective air purifiers on the market. Are you excited? Let’s find out in the Austin Air HealthMate Review now. There is no fixed definition of ‘flagship’ in the Austin Air brand. 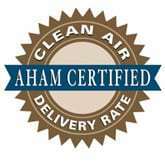 All air purifiers are made to meet a different demand for air quality control. When you are looking for an Austin Air device, you will search for your most troublesome problem, not for the price. However, the Austin Air HealthMate is just the basic air purifier of this company. Sure, it is also the cheapest device in the Standard Series – the top high-range product line of Austin Air. But in comparison to its peers, it still has the very durable housing, with a complete finish and high-quality air filters. As the very first Medical-grade True HEPA air purifier in the U.S market, the Austin Air HealthMate is the most popular one. So far, it is also the inspiration of many other air purifier brands. The Rabbit Air took the concept of double pre-filtration to improve the life time of their HEPA filter, the Oransi touted the “Made in USA” name alike. And don’t forget the Airpura, a Canadian brand with an overall similar concept. The Austin Air HealthMate is a great premium device offering everything you would expect from a flagship. It has an outstanding True HEPA filter, an advanced fan power and an overall top-class performance. The price of Austin Air HealthMate is only $595, which is $40 lower than the Austin Air Allergy Machine or $120 lower than the upgraded Austin Air HealthMate Plus. It is a great deal for the price, but it is comparable with the Rabbit Air MinusA2, Sharp KC-860U, Alen BreatheSmart FIT50 and Blueair Classic 405. And I must admit, in the top mid-range segment, basically the quality is all so good now that whichever you pick you will see a great result. In Amazon, there is always good deal for the Austin Air HealthMate, and below is the best we could offer to you, which could be up to $100 OFF. Austin Air HealthMate Standard Air Purifier B400B1 Black. The Austin Air Healthmate HM400. The Austin Healthmate was the first air purifier to use Medical-grade HEPA and is still their most popular unit today. The Austin Air HealthMate is a genuine high-end air purifier. It starts a complete product line, and shape the iconic appearance of all air purifiers from this company, whether it’s a budget, mid-range or high-end device. It can be compared with the Airpura R600 of the Canadian rival, but you should not go wrong, the Austin Air HealthMate was born a long time before. Austin Air uses the steel housing, baked on powder coat paint finish in every device under their name. The Austin Air HealthMate does feel premium, and it looks sturdier than the mix of plastic and metal on the body of Alen BreatheSmart FIT50. It also helps the Austin Air HealthMate to be recyclable. Other unit specifications are not so different from each unit of this well-known American brand. The Austin Air HealthMate is 23 inches in height and 14.5 inches in width, with a 360° air intake system for the air flow. It makes use of the perforated grill to improve the capturing of the airborne pollutants. It is only able in the air purifier with high fan power, just like the Austin Air HealthMate. Remember that the Austin Air HealthMate, just like any other machines of this company, is CSA (Canadian Standards Association) approved. It is the certification for passing rigorous tests under various conditions to meet the requirements of safety for any electrical, mechanical, plumbing, and gas products. The Austin Air HealthMate only has an air outlet grill from the besides. 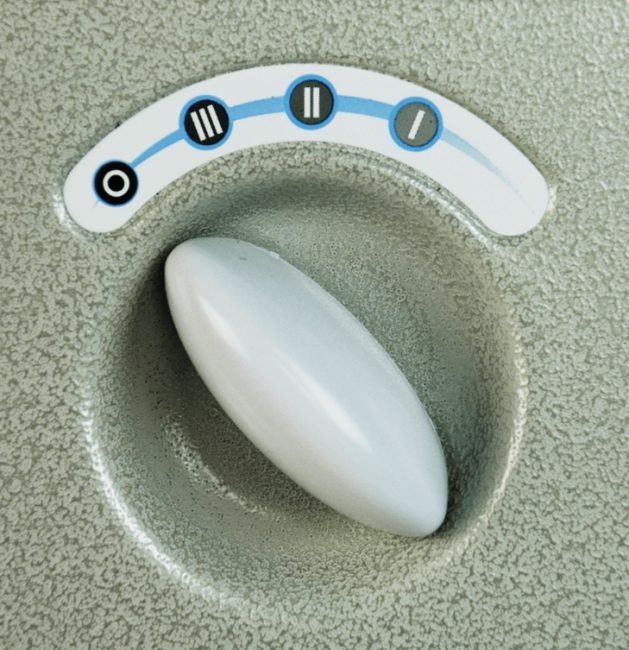 You can also find the manual knob on front of the machine. We have 4 main color options for this Austin Air HealthMate: Black, Midnight Blue, Sandstone and White. For our testing unit, I’ve used the Black one, and in general I love the premium black color of Austin Air. It also packs with heavy air filters inside, pushing the weight of Austin Air HealthMate to be 47 lbs. It is even heavier than the Airpura R600, and you must be happy with the add-on of 4 smooth-roll casters. There are too many factors to review an air purifier device, but the air filtration system is indisputably the most important. Normally, we will check the quantity of air filters and what air filter types it used first. Austin Air HealthMate features a signature 4-stage air cleaning system from this brand. Pre-filter – During the first stage, Austin Air HealthMate will capture any large objects of airborne pollutants which can be seen by the naked eye, such as large dust, pet hair, fur and even some pet dander particles. Medium Particle Pre-filter – Just like Rabbit Air MinusA2, Austin Air HealthMate makes use of a double pre-filtration, and can remove small to medium size particles like dust, pollen and mold spores in this stage. True HEPA filter – The signature 60-sq-ft Medical-grade True HEPA filter of Austin Air HealthMate can remove 99.97% of all particles larger than 0.3 microns, and even 95% of all particles larger than 0.1 microns. Yes, the Austin Air HealthMate is the first one to use the double pre-filtration. And it is not only for marketing purpose, as the double pre-filtration can actually deal with a large portions of airborne pollutants. Overall, it saves only the tiniest particles for the True HEPA filter, and reduces the damage of these medium to large-size allergens as low as possible. 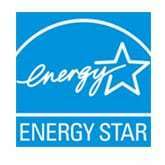 Therefore, the HEPA filter can last for up to 5 years. Yes, 5 years. The carbon filter of Austin Air HealthMate is not as much as the Airpura R600 or Airpura F600, but you are talking about an amount of carbon that weighs 15 lbs. It even has more charcoal than even an IQAir GC MultiGas, and 5 times more carbon filter media than the $1595 Oransi Erik 650A. With a combination of natural zeolite, this air filter can deal with more than 3000 types of toxic gases and odors. Lastly, we can’t forget the top selling point of this air purifier – the Medical-grade True HEPA filter. The air must glide through 60 sq ft of True HEPA filter, and needless to say, the Austin Air device is having enough filter media to deal with even the tiniest particles. It requires minimal maintenance, and you only need to vacuum the housing periodically to ensure optimal airflow. The performance test of Austin Air HealthMate is quite easy to process, as I expect the unmatched result from this air purifier. I put it in a room of 400 sq ft, and let my unit run for 1 hour. To help you compare the performance of this air purifier, I used the AIRMEGA 300S, Blueair Classic 405 and Alen BreatheSmart for the test. The Austin Air HealthMate was clearly the winner, with high efficiency of trapping 99.97% of any particles down to 0.3 microns in size. The AIRMEGA 300S was the runner-up with efficiency of 99.94%, and the Blueair Classic 405 scored 99.93%. The lowest result is the Alen BreatheSmart, which is without a True HEPA filter, with only 97%. The result isn’t actually a surprise for the Medical-grade True HEPA filter, but you can’t avoid such high base cost to use it. However, for the cost of $239, the actual annual filter cost of Austin Air HealthMate is only $48, which is below half of the Blueair Classic 405. I bet the filter cost of Austin Air HealthMate is one of the lowest for the price. The quality of the air filtration process is important, but an air purifier needs the fan power to optimize its efficiency. Commonly, the high-range air purifier can cover an extra large space without problem. The Austin Air HealthMate, as well as others in this product line of Austin Air family, can clean a room of 1500 sq ft. The ACH of Austin Air HealthMate is 2X to 4X. This air purifier can clean your room at maximum 4 times per hour. The CADR of Austin Air HealthMate is 400 cfm in general. This is a very high CADR rating, and in real-world use, the Austin Air HealthMate can clean your room pretty fast. With a good fan power, the positive is we can enjoy the clean air more often. On the negative side, the manufacturer must face the inevitable fact that the in-house fan is really, really noisy. Austin Air uses a Permanent-Split Capacitor motor which is mounted on shock absorbers to minimize noise. Sadly, the noise level is still quite high to bear easily. The range of noise level from this Austin Air HealthMate is 50 to 66 db. It is higher than most of other air purifiers in the market, and nowhere near the Ultra Quiet Rabbit Air MinusA2 with only 25.6 db. Yes, it is still lower than the range we called “noise”, which is 70 db. However, you can’t ignore the sound. If you plan to use the Austin Air HealthMate in quiet places, you will be quite disappointed. The Austin Air HealthMate has a Permanent-Split Capacitor (PSC) motor to draw less current and reduce your operating costs. But it is just the online marketing. I’ve measured the power consumption of this air purifier at the lowest setting is about 56W. And if you run it on highest speed, the power consumption can be as high as 132W. For running an Austin Air HealthMate 8 hours per day, you need to pay from $20 to $48 annually. Even if you always run the air purifier on highest speed, it would cost you only $0.1 each day. Austin Air HealthMate is still the flagship air purifier from 1990, with an overpower Medical-grade True HEPA filter and granular Activated Carbon, to deal with a broad range of contaminants including chemicals, gases and Volatile Organic Compounds (VOCs). It is also the strongest air purifier for the price, and you will never regret buying it. Should I buy Austin Air HealthMate? Yes, the original Austin Air HealthMate still earns the title to be the most popular air purifier in North America, and purchasing it will be your wise move. If you have serious allergies or asthma to airborne pollutants: the Austin Air HealthMate is the best machine you can get, but you can always upgrade to the Austin Air HealthMate Plus. If you want a better performance, or better fan power to clean your room faster: you can choose between the Airpura H600, Airpura I600 and/or Airpura R600, as they all have a CADR ratings of 560 cfm (higher than Austin Air HealthMate, only 400 cfm). If you need a budget version of this air purifier: you can think of the Austin Air HealthMate Jr, which is $180 less. Or if you can afford more, the Austin Air HealthMate Plus Jr is a lot better, with $100 less. If you need a more silent air purifier: for the price, the AIRMEGA 300S, Rabbit Air MinusA2 and Alen BreatheSmart are more silent than this Austin Air HealthMate. If you care about the annual filter cost and energy cost: the Austin Air HealthMate is the most saving for annual filter cost, but for the power consumption, you should choose the Rabbit Air MinusA2 or Sharp KC-860U over this air purifier. The Austin Air HealthMate is an air purifier for the actual performance, not the fancy features.